Open Bionics is to be awarded £100,000 through SBRI Healthcare, an NHS England initiative, as part of its latest challenge to fund new innovations that will support children living with disability and long term conditions. Based at the University of the West of England’s Bristol Robotics Lab, Open Bionics is a start-up company launched in 2014, developing low-cost bionic hands for amputees using 3D scanning and printing technology. Samantha Payne, Chief Operating Officer at Open Bionics said: “We are looking forward to being able to offer advanced multi-grip bionic hands. This technology can be life changing for amputees and we appreciate the NHS working with us to bring this cutting-edge technology to the public. Nine companies are each receiving up to £100,000 through the SBRI Healthcare funding, which is led by the 15 Academic Health Science Networks across England. Urszula Kapoulas, Regional Development Advisor at the West of England Academic Health Science Network (AHSN), commented: “Each of the successful technologies encourage independence. They focus on restoring function and providing appropriate support for self-care and remote monitoring. “With six percent of children in the UK living with disability, ingenious solutions such as the brilliant bionic hands being created by Open Bionics, can be genuinely life changing. The other successful companies to receive SBRI Healthcare funding are: ADI Ltd (West Yorkshire), Project Andiamo Ltd (London), Spirit Healthcare (Leicester), Elaros Ltd (Sheffield), Innerstrength (Ireland), Therapy Box Ltd (London), Viamed Ltd (West Yorkshire) and XIM Ltd (Southampton). The SBRI Healthcare programme works with leading healthcare players to identify areas where technology can be applied to address major healthcare challenges. The nine successful projects have been selected on their potential value to the health service and on the improved outcomes delivered to patients. The companies will be supported and fully funded to demonstrate the technical feasibility of their proposed concept for a six month development phase. Those businesses demonstrating best value and greatest technical feasibility at this stage (phase 1) will progress through (phase 2) to be further supported and funded to take their technologies through to commercialisation. To find out more, visit www.sbrihealthcare.co.uk. Open Bionics is an award-winning robotics company developing affordable bionic hands in the style of superheroes. The young start-up based in Bristol has won the James Dyson award for innovative engineering and has been noted by Bloomberg and Fast Company as one of the Top 10 most innovative robotics companies in the world. Open Bionics will turn children with limb differences into bionic superheroes by offering Marvel, Star Wars, and Disney inspired bionic limbs. Find out more about Open Bionics at www.openbionics.com. 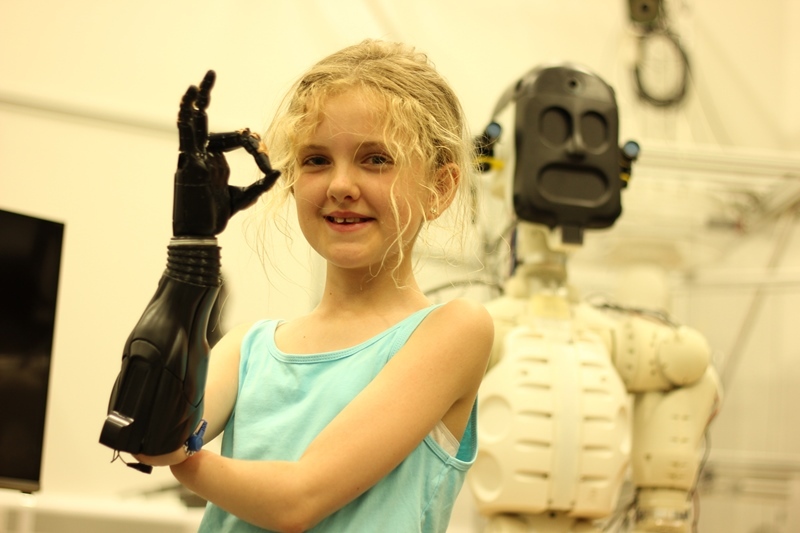 PHOTO: 10-year-old Tilly lost her hands to meningitis as a baby and asked to trial Open Bionics’ advanced hands as current prosthetics for children her age do not offer multiple grips and individual finger movement.